Dr. Yoav J. Tenembaum is a lecturer in the School of Political Science, International Affairs and Government at Tel Aviv University in Israel. The results of the Israeli elections that took place on April 9 have shown that history could be a good guide to assess political processes, but not necessarily to predict how events will unfold. On two previous occasions, a center-left coalition was able to defeat the center-right in Israeli elections. In 1992, the Labour Party, headed by former Chief of Staff of the Israeli Defence Forces (IDF), Itzhak Rabin, managed to defeat the governing Likud Party, headed by Itzhak Shamir. In 1999, another former Chief of Staff of the IDF, Ehud Barak, heading a political alignment centered on the Labour Party, secured a comfortable election victory against the incumbent Prime Minister, Benjamin Netanyahu. Many in Israel thought that these two historical precedents might be repeated in the elections Tuesday. The logic of the argument ran like this: For any political challenge mounted by the center and center-left against the governing Likud Party to succeed, a former military leader would have to lead it. In a country beset from its inception by security-related threats, the aura of a distinguished military career could be a vote-winner. The above could be proved empirically. After all, both in 1992 and in 1999, the governing Likud Party lost to two former generals, heading a center-left coalition. However, in 2019, a newly-created, centrist political grouping, Blue and White, led by a former Chief of Staff of the IDF, Benny Gantz, and a triumvirate of leading figures, two of them also former Chief of Staff of the IDF, Moshe “Bogy” Yaalon and Avi Ashkenazi, was defeated at the polls by Benjamin Netanyahu and his Likud Party. To answer this question we would need to stress, first and foremost, the singular circumstances surrounding each electoral event. For instance, in 1992, Rabin was thought to be a very experienced politician, having already served as Prime Minister between 1974 and 1977, and as Defence Minister between 1984 and 1990. In 2019, Gantz had no political credentials at all. He had served in no ministerial post, nor had he been even a Member of the Knesset (the Israeli parliament). 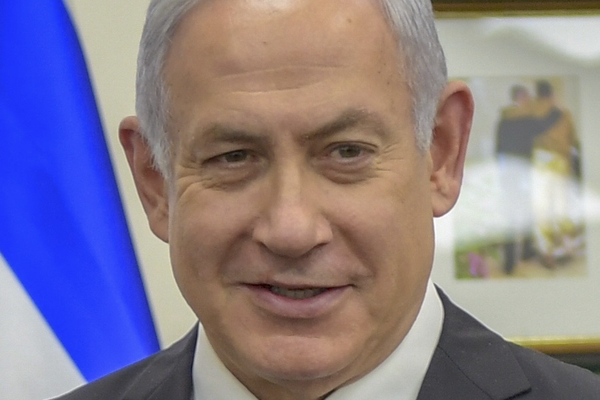 Further, whereas Rabin in 1992 faced a serving prime minister, Shamir, who many considered uncharismatic, Gantz in 2019 wanted to unseat Netanyahu, one of the most charismatic leaders Israel has ever known. Shamir might have been respected by his followers; Netanyahu was adored by them. In 1999, Barak, the most decorated military leader in Israel’s history, wanted to unseat a young prime minister, who, after having served for three years as prime minister, was seen as inexperienced and rather unsuccessful: Netanyahu. Certainly, what the examples of Rabin (1992) and Barak (1999) demonstrate is that a rather hawkish platform, coupled with a distinguished military career, can help a center-left candidate in securing political support among center and center-right voters in Israel. Beyond that, voting in Israel follows, more often-than-not, a deep-seated sociological trend. Most Israeli Jews of European descent tend to vote for center and center-left parties; most Israeli Jews of North-African and Asian descent are inclined to vote for center-right parties. The more affluent an area in Israel, the more its residents would tend to vote for a center, center-left candidate. Certain cities in Israel are identified with either the center-left or the center-right: thus in these recent elections, cities like Tel Aviv voted overwhelmingly for opposition parties, whereas Jerusalem voted mostly for center-right and religious parties. Therefore, apart from the personal and political characteristics of the leaders involved, and the concrete circumstances in which they have operated, to understand the Israeli electoral process one has to delve more deeply into Israeli society and the way it has evolved. In Israel, one can learn from history by assessing these more profound sociological processes, while being careful not to reach unequivocal conclusions from similar events that have taken place in Israel’s history.